Andermatt is a cozy ski resort situated near the St. Gotthard Pass in the middle of Switzerland. 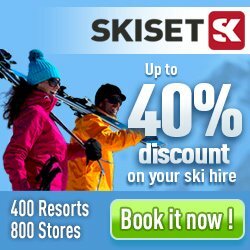 The resort is known for its fantastic off-piste skiing, which is classified as one of the best in the world. High mountains, great snow and easy access make this a mecca for those who seek the adrenaline rushes of off-piste skiing. Andermatt consist of some different ski systems: Gemstock, Hospental, Felsental and Unteralp and Oberalp / Sedrun which is 20 minutes away by train. Gemstock , which faces north, is an excellent choice if you want to experience the best skiing off piste with lovely powder snow. Even if you do not appreciate off-piste skiing you will love Andermatt. There are a number of slopes as well of various difficulty. Andermatt is a charming village with a nice feeling of true Alps. It is quite small but has its fair share of restaurants and nightlife. The village is concentrated around Gotthardstrasse, which is lined by restaurants and hotels. Travel to Andermatt by flying to Zurich and continue by car or train, about two hours in total. Leave the car for the last stretch and continue by rail. It is also possible to fly to northern Italy, such as with Ryanair to Bergamo / Milan and then rent a car. Here you will find in total 41 hotel, apartments and chalets/houses in Andermatt.